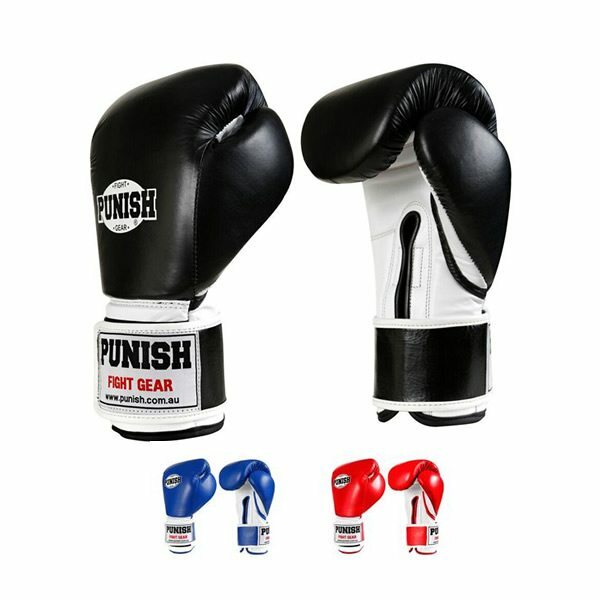 Very Popular Boxing Glove, 100% cow hide leather. Full wrap around wrist strap with hook-and-loop closure for added wrist support. Layered Foam Padding Ventilation holes Water repellent inner lining Very comfortable Glove with great comfort and durability. 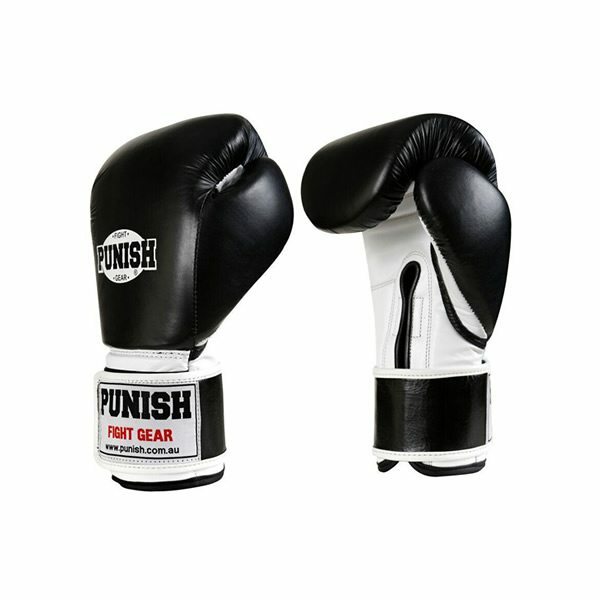 Punish Recommendation – 16oz boxing glove for sparring – 10oz boxing glove for Bag and pad workouts.